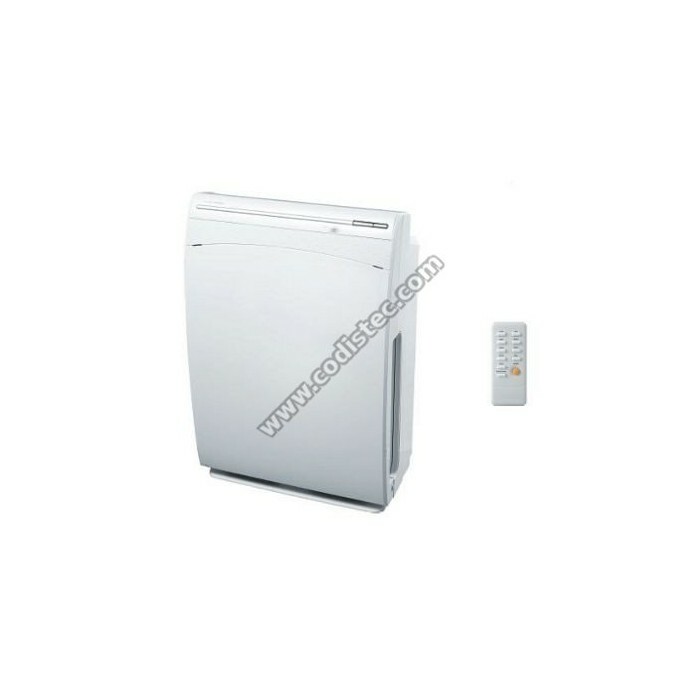 Air purifier appliance very useful for people with respiratory diseases and allergies to dust mites and pollens. Very silent and with remote control. Inibe vários tipos de bactérias e fungos, graças aos iões de prata. secundária, graças à forte capacidade catalítica. • Liberta grupos de iões e mata bactérias do ar, graças ao plasma. de estado dos filtros, modo de funcionamento, etc. • Decompõe e elimina odores rapidamente, sem originar poluição secundária, graças à forte capacidade catalítica. Inibe vários tipos de bactérias e fungos, graças aos iões de prata. 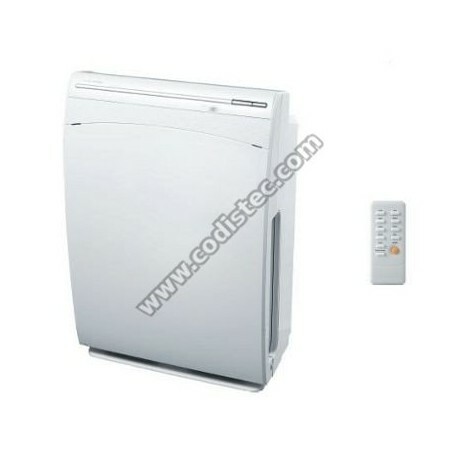 • Absorbs and decomposes harmful substance such as formaldehyde, thanks to the system HIMOP. • Filters with efficiencies up to 99% of all particles 0.3 microns and above (bacteria, mites, dust, etc.) and refreshes the air thanks to the filters HEPA. • Removes harmful gases such as ammonia, acetic acid, etc., thanks to a new type of filter ,activated carbon of high absorption capacity. • Frees ions and kills bacteria in the air, thanks to the plasma. • Produces negative ions that make the air fresh and clean, as mountains, forests and waterfalls. • And with silent function for undisturbed sleep, variable speed, remote controller, dust and odors sensors, timer pilots, timer, filters state, operating mode, etc..